As many of you know I used to be madly in love with Hank Green from SciShow. I found his videos educational, entertaining and thought he could do no wrong. However, all that changed when earlier this year he published a video called 'The Science of Genetically Modified Food'. I have previously written about it, saying that the video was nothing more than a fear piece and not a fair representation of the scientific community which Hank is meant to represent. I showed how Hank cherry picked highly discredited (and in my opinion unethical) research that backs up his biased views on GMOs and how he also misled the viewer into thinking that GMOs pose real danger to them, and to nature. The article I wrote did fairly well and someone even posted it on SciShows Wiki page as an example of their biased towards certain technologies. I was later contacted by Hank, who apologised for making such a bad video and said that he had foolishly taken the research at face value. Although I was shocked and disappointed that a fellow scientist would not read and check the research he was quoting, I was very happy that he decided to take the video down and that he was going to put together a second one. What was interesting was that at around the same time that Hank removed the video and contacted me, the link to my article was removed from SciShows Wiki page. It has now been over 3 months since Hank uploaded the video and there is no sign of him correcting his mistakes any time soon. I don't know why but earlier today, I decided to see if Hank had made any other videos on genetic engineering. I found that in March of 2012 he had released a video called 'Glowing Rats and Extreme Genetic Engineering', which is another example of Hank's and those who work at SciShow biased position towards genetic engineering. The video is on the subject of synthetic biology (which I have also previously talked about in great detail) and starts with Hank talking about genetically modified animals that express GFP (green fluorescent protein): "Glow in the dark animals. You may of heard of them. We are making pigs and rats and cats glow these days but thats just the realm of normal every day old school genetic engineering." This might not seem important, but like before it helps set the negative tone for the video and casts all genetical modification in a negative light just like he did in the video, 'The Science of Genetically Modified Food'. It is also incorrect, as these genetically modified animals do not glow in the dark, they fluoresce under certain frequencies of fluorescent UV light. You might be asking yourself, why do scientists want to create glowing animals (apart from the fact it's awesome)? 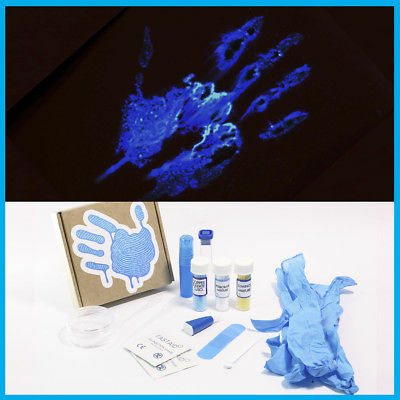 The reason is that the GFP is extremely easy to identify without hurting the animal. So, for example, if you wanted to test a new method of introducing a foreign gene into an organism you could test it using GFP; if the organism fluoresced then your new method was successful. Hank never talks about why scientists would do this and leaves it up to the imagination of the viewer. Again, this might not seem important but it helps sets a negative tone to people who are not unfamiliar with this technology and who now probably think all sciences work under Cave Johnson's mantra: "Science isn't about why, it's about WHY NOT!" Hank later goes on to introduce the subject of synthetic biology by saying, “But now my friends we are heading into a new frontier. A more complicated frontier. Essentially a more dangerous frontier. The frontier of synthetic biology. It’s a very new branch of science and it’s a bit controversial”. At this point I was absolutely appalled at the lack of research and the level of fear mongering by Hank and those at SciShow. First of all, synthetic biology uses many of the techniques already employed in “normal everyday old school” genetic engineering. For example the primers used in PCR (polymerase chain reaction, which can be extensively modified to perform a wide array of genetic manipulations) are printed using DNA synthesisers. This has led to many scientists (including myself) arguing that synthetic biology is not a new discipline and simply an extension of existing work. The claim that synthetic biology is more complicated than this is simply untrue. The ability to simply and cheaply print the DNA sequence you need, rather than using complicated methods that rely on an array of proteins means that synthetic biology is far LESS complicated. When Hank says that synthetic biology is dangerous and that it is a “bit controversial” he is not representing the scientific community; he is voicing his own biased and uninformed opinions. If synthetic biology was indeed dangerous then Hank would have no problem giving us an example but he never does. As for the claim that it is controversial, the only place this branch of biology/chemistry is controversial is in the minds of people who don’t understand it. No one in the scientific community is batting an eyelid. Hank then says, “Last week a hundred and ten different advocacy groups called for a moratorium on the release or sale on any organisms made by synthesis biology as well as any of their by-products.” Hank here is referring to an interesting report produced by Friends of the Earth named ‘The Principles for the Oversight of Synthetic Biology’. The report is indeed endorsed by a hundred and ten different advocacy groups including Friends of the Earth Australia, Friends of the Earth Brazil, Friends of the Earth Canada, Friends of the Earth Cyprus, etc. I have previously talked about the report and how it is a joke. No, I am not over exaggerating, this report is a joke. At one point it blames synthetic biology for the burning of sugar cane fields in the global south, resulting in large quantities of carbon dioxide. As if the ingredients used in synthetic biology obtained from sugar cane would have any impact on an industry that harvests 1.69 billion tonnes of sugar cane annually! It was also the same report that David Shukman (SHUKMAN!!!!!!!) quoted when he did his fear piece on synthetic biology, which shows what level Hank is on. Less than one minute in, Hank then says something that is totally inexcusable: “Generally when we talk about synthetic biology, some times called extreme genetic engineering…” SCREW YOU HANK GREEN! No one in the industry calls synthetic biology “extreme genetic engineering”. The only people to give it this title are your mates from Friends of the Earth. Why Hank or anyone at SciShow think this would be acceptable and why they desisted to call the video ‘Glowing Rats and Extreme Genetic Engineering’ is beyond me. Problem is that Hank has a team of writers that may only be looking to score cheap points with an audience. I am 100% on your side Miles. He has already stated that he is the boss of the show, so he should have final say on what does and does not get into his own broadcast. I love Hank, but his bias shines through on several videos. He wouldn’t have to worry about pandering to a bunch of PC hippies about GMO’s. I am with you Myles . . . I think . . . problem is that I haven’t researched what you say, so I suppose I should remain neutral. Hard to know what to believe anymore. He also fell for the “80% of the genome is functional” nonsense that somehow made it into the press release by the ENCODE project. Usually he’s good, but I guess there’s sometimes not enough interesting science so they pad it out with overhype / sensationalism. It’s important to note that that video came out a year before Hank acknowledged the bias. Thought-provoking article Myles. I admit that I’m one of the gullible ones who has readily accepted the negative stereotypes about GMOs and GFPs. Terms like “frankenfish” and pejorative phrases like “they glow in the dark”, with some scientific terms thrown in, are quite enough to scare the easily misled masses. Myles, the problem is that I’m in the same position as Ed, above. Since I don’t have the necessary background to make an accurate appraisal, I am easy prey for manipulation in either direction. What I have found fascinating as I have peered into my own biases, this general distrust of the establishment paved the way for me to believe in countless other conspiracies like 9/11, Aurora, Sandy Hook, and that the NWO is trying to kill many of us off so thst it can more easily enslave the raining “sheeple”. I had no idea this was/is being sold as a package deal. I’ve found it uncanny, that if someone believes in Chemtrails and rails against the evils of Monsanto and vaccines, they also buy into all other conspiracies. I have come to believe that this kind of conspiracism is dangerous and unhealthy. Thanks for waking me up a bit. Heretofore, I will attempt to be as unbiased as possible as I peruse the evidence. But given my lack of scientific background, this will clearly be an uphill journey. Hi there, Myles. Just to let you know, Hank appears to have uploaded a video over the past week or so that appears to be the promised refresh of his GMO video that you disapproved of in your post.